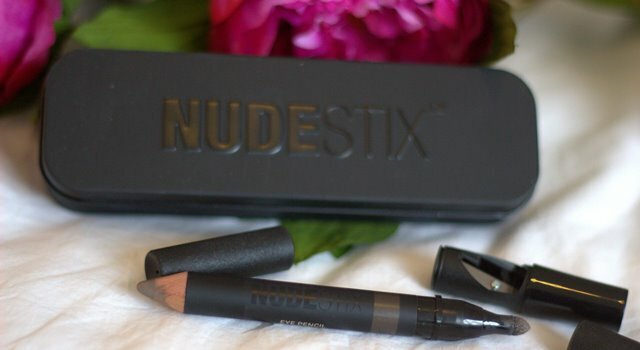 Nudestix have been popular amongst bloggers and make-up artists for a while so I was happy to try the eye pencils. I love the packaging, the stylish black tin that your Eye Pencil comes in with a very slick sharpener (can never have enough!) I also appreciate when make-up tools and eye pencils are double ended, it just adds to the value and saves you having to carry around multiple products. The Nudestix Eye Pencils claim to line, add colour and highlight with just one product meaning you can carry just one product around with you. The pencils do glide on very easily and are really easy to blend with your fingers or a brush, the finish is almost sheer and very natural looking with the tiniest hint of shimmer. I felt like a had to build up the colour to give a smokey eye effect but that could be due to having a darker skin-tone. I can vouch for the highlighting part, they seem to highlight the eye are in a very natural looking way which I loved. They are great for quick and easy application for an everyday make-up look and some definition for a natural looking finish but after really trying to love these (because I love the look of the brand and like the packaging) I just don’t. Even when I used with a good eye primer, the colour just disappeared after just a couple of hours and the shimmer built up in my crease. I felt after building up the product quite a bit and smoking it out, the colour still looked very sheer and faded which some people may like but it’s not for me. The colour was not pigmented enough to use as a liner but added a little definition along my lower lash line. Considering the price point (£24) I would have expected these eye pencils to be more last-lasting.